Capturing powerful live worship from events like Powerscourt and New Horizon, this double CD features Robin Mark, Eoghan Heaslip, Emmaus and more. The music shimmers with traditional Irish character and the heart of the contemporary Irish church. An inspiring collection. 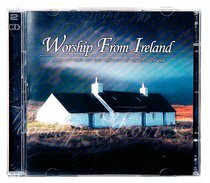 About "Worship From Ireland Double CD"